Christine Yano is Professor of Anthropology at the University of Hawai’i and co-editor (with Neal K. Adolph Akatsuka) of the new book Straight A’s: Asian American College Students in Their Own Words. This guest post offers her reflections on current and recent lawsuits on affirmative action in higher education. Privilege is an ugly word. And any pedestal of privilege holds a fraught position that draws critics and wannabes. Given these elements, the possibilities for manipulation of privilege and its pedestals run high. In my mind, this is part of the backdrop of the current lawsuit against Harvard University’s admissions policy by the so-called Students for Fair Admissions (SFFA) led by conservative activist Edward Blum. The lawsuit charges that Harvard’s undergraduate admissions policy discriminates against Asian American applicants, by holding them to a higher bar than others, based on their numerical test scores and rates of admission. The lawsuit on surface carries commonsense momentum, because it feeds upon a history of rumor and innuendo, in part driven by similar lawsuits levelled at other places of privilege, such as University of California, Berkeley. It feeds upon stereotypes of Asian Americans as a model minority that is high-achieving and low maintenance, ignoring the diversity of national origins, culture, education levels, and social class. The model minority stereotype thrust upon Asian Americans by white media during the racially volatile 1960s categorized them as the so-called “good minority” in contrast with other persons of color as the “bad minority.” The lawsuit feeds upon the creation and manipulation of such divisiveness, pitting minority against minority in the most insidious ways. The lawsuit generates its own hype. I come to these thoughts on the impending lawsuit through perusing related documents in the news media, but also through my experiences as a Visiting Professor of Anthropology at Harvard in 2014-2015, teaching an experimental and temporary undergraduate course entitled Being Asian American: Representations and Realities (Anth1606). My students were primarily Asian American undergraduates, who were excited and enthusiastic to find a class that dealt with their own experiences. The students’ energies coalesced as Straight A’s: Asian American College Students in Their Own Words. Straight A’s consists of first-person narratives of Harvard Asian American undergraduates, gathered by the students (dubbed “Asian American Collective”) through personal writings and interviews. As their instructor and fellow Asian American, I was moved by their tales, which were direct, unblinking, and intimate. They helped me learn the pitfalls of the public pedestal of Harvard and the constant scrutiny that such a position entails, which includes families (sometimes arcing back to extended families in Asia), friends, high schools, communities, and more. These students live under tremendous pressure, and a lawsuit such as Blum’s only adds to the confusion and complexity of their college years. I admit that I, too, did not know exactly what to make of the lawsuit without having done some background reading. Because the lawsuit feeds into so many pre-existing assumptions, stereotypes, and histories, those who hear news of it may find themselves hard put to examine its context more closely. After all, prejudice against Asian Americans is a very real thing. Shutting out minorities (here Asian Americans; in the past, Jews) from institutions of privilege is well documented and an ugly part of history, including that of Harvard. These kinds of historical encounters with the allegations set forth by the lawsuit give a kind of common-sense, superficial acceptance of its premises. This is a dangerous thing, especially given an age of right-wing conservatism with calls for dismantling affirmative action programs. The lawsuit implies that the admissions process at a place of privilege such as Harvard follows affirmative action practices—that is, racial and ethnic quotas—that in this case have worked against one minority that has proven too successful for their own good. Proponents of the lawsuit suggest that the answer is to abandon all affirmative action that might give any particular group an advantage (or here, disadvantage) over any other group. Thus Blum and his followers (including some recruited Asian Americans, such as Yukong Zhao, president of the Asian American Coalition for Education) have found a circuitous means to argue against affirmative action in general. It’s a neat and cynical trick. But in fact, the trick is not quite so neat. For example, the lawsuit mischaracterizes Harvard’s current admissions process. In fact, many institutions, including Harvard, utilize holistic review—that is, a widespread, multi-factored review process that aims to assess the context of the whole person, rather than simply relying on test scores. That context includes family background, life circumstances, and unusual achievement, assessed through letters of recommendation, personal essays, and interviews. Holistic review allows institutions to deliberately and purposefully look beyond numerical test scores to recognize future value to careers and communities. This is not about a “positive personality” score to which Asian Americans have been ranked lower—what Blum labels the “Asian Penalty.” Rather, holistic review provides admissions offices with a range of factors that might predict fit and function, including in some cases recognition of educational barriers that certain Asian American applicants may face, such as low-income families, refugee status, or lack of English as a primary language. The lawsuit, in fact, relies upon disaggregated data that takes Asian Americans as a monolithic group, ignoring those who might fall outside the model minority category. Blum’s trick only works if we uncritically accept the methods of his fact-gathering and the ideological basis of his argument. The key element to understanding the issues involved lies in contextualizing Blum and the motivations behind SFFA. And a number of groups have done just that. Foremost among these is the Harvard Asian American Alumni Alliance (H4A), an organization of 7000 Asian American and Asian alumni around the globe and founded in 2008. If anything, their voice should be heard as persons directly concerned with the lawsuit issues. In an extensive June 29, 2018 message to members, the H4A Board and Executive Committee emphasized two main points: 1) they support the inclusive, whole-person admissions process that Harvard uses; and 2) they oppose any form of racial discrimination in the process. The message also notes Blum’s history of conservative activism, of which this lawsuit is only one. Blum, for example, was at the forefront in bringing down civil rights protections in the Voting Rights Act. He twice went unsuccessfully to the Supreme Court on behalf of a white plaintiff in Fisher vs University of Texas to end the consideration of race in admissions. Realizing that he needed Asian American plaintiffs to further his generalized case to dismantle affirmative action, he sought and found them in his newly created “Students for Fair Admissions.” The Harvard lawsuit is the result. One of the most comprehensive documents that I have read is that issued by the Coalition for a Diverse Harvard of June 26, 2018, entitled “Admissions Lawsuit Update: A Look Behind the Hype.” The Coalition, a multi-racial, multi-ethnic organization of nearly 1100 Harvard and Radcliffe alumni and students, includes more than 200 Asian Americans and was founded in 2016. Its steering committee spent hundreds of hours reviewing the lawsuit documents, and comparing the statistical evaluations in a “battle of the experts”—Dr. Peter Arcidiacono (Professor of Economics, Duke University) representing SFFA versus Dr. David Card (Professor of Economics, University of California, Berkeley) representing Harvard. Because the lawsuit is ongoing, its conclusions are as well. However, the Coalition importantly identifies the overarching aim of Blum and SFFA as seeking to ban holistic review admissions processes nationwide through a court ruling that any use of race or ethnicity in an evaluative educational setting is unconstitutional. If successful, the injunction would prevent all educational institutions from conducting their screening with knowledge of the applicant’s race, including surnames, mention of family background in personal essays, or in-person interviews. SFFA seeks an admissions process that elevates (or returns) the importance of numerical test scores, while disregarding, among other things, life histories, special skills and talents, and individual passions. This flies in the face of longstanding acknowledgment of the very limitations and biases of standardized testing. The key here is not only that the Blum-SFFA position on admissions is wrong-headed. It is, of course. But there is more to it than that. Rather, Blum-SFFA seeks to dismantle the very goals of diversity in access to higher education by “fracturing communities of color” (the words of the Coalition). And he is using Asian Americans as his bulwark. Those goals of diversity have been long served by affirmative action, widespread programs that recognize that students do not arrive from the same starting line. Harvard’s admissions process may not be considered strictly “affirmative action,” but in prioritizing the whole person over a test score, and by upholding a goal of a diverse student body not because of a statistical mandate, but because of the richness to be gained and curated and advanced by difference, the ipso facto result takes race as one part of the context of all students. The experience of race says something about the student, not as an assumption, but as one element in a particularized context of culture, family, educational expectations, stereotypes, and more. Because the lawsuit plays so easily into sneering comments about privilege, as well as widespread rumors about access to pedestals of privilege, such as Harvard, the general public may too easily fail to look beyond the accusations. They’ve heard this before; they’ve felt this before. Asian Americans as almost-whites, subject to the same kinds of reverse discrimination that whites might face. Model-minority privilege. Focused on the easy predictability of the accusation, the general public may too easily ignore the goals of the accusers, and rely too easily on their own intentional and unintentional stereotypes of Asian Americans and other domestic communities of color. Thus it is important to re-focus and re-calibrate our attention. In this case, the true news story lies in the accusers’ ideology of exclusion and political conservatism. The accusers’ world view has no room for affirmative action. Ultimately targeting and dismantling those practices that seek to rectify social conditions of inequality, the accusers would have us believe in the holy grail of test-score objectivity. This is why Blum advocates eliminating any and all references to race in the admissions evaluation. The accusers would have us rush to the defense of poor Asian Americans, whose only crime was doing too well. They would have us ignore the educational richness of a diverse campus, as well as the steps that an institution might take to achieve that balance. They would have us ignore the many ways that an individual might excel and contribute to a variety greater goods. Using the public spotlight upon privilege and its pedestal, the accusers manipulate a quasi-minority position to do battle in the courts. In many ways, it is a battle of world views. But that characterization sounds far too neutral. Indeed, this is a human rights issue. The Harvard lawsuit represents a struggle for the very concept of what higher education and its access in the United States might mean. The stakes run high as Blum threatens the ongoing work of affirmative action aimed at extending privilege and pedestal to a broader swath. Asian Americans are but a pawn in his game. This fall the courts will decide whose world view prevails. Read more about the Asian American experience at Harvard in Straight A’s: Asian American College Students in Their Own Words. 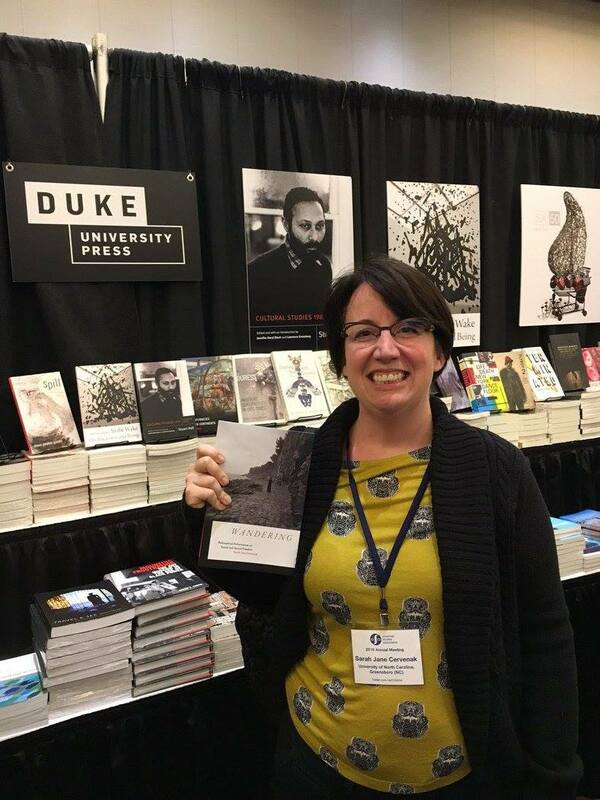 Check out the introduction, and save 30% when you purchase a copy from Duke University Press by using coupon code E18STRA at checkout. 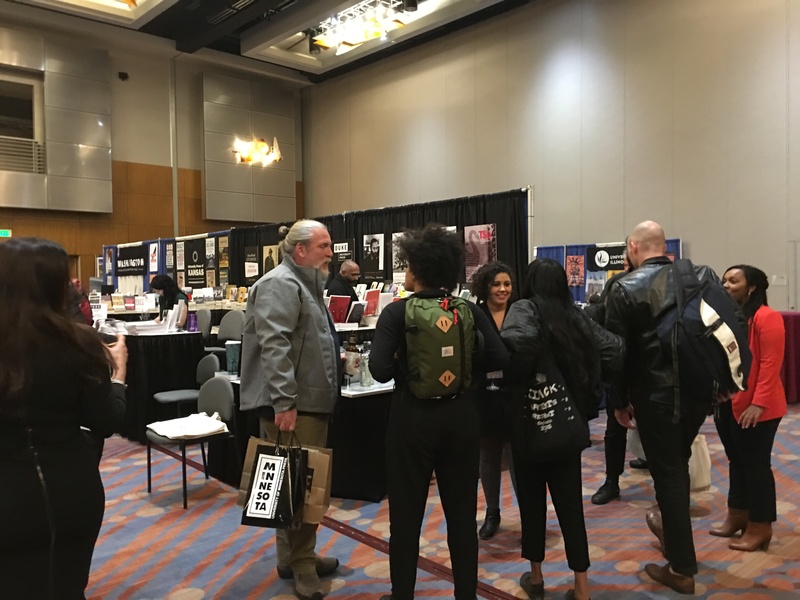 We had such a wonderful time selling books and journals at the American Studies Association last week in Denver, Colorado. 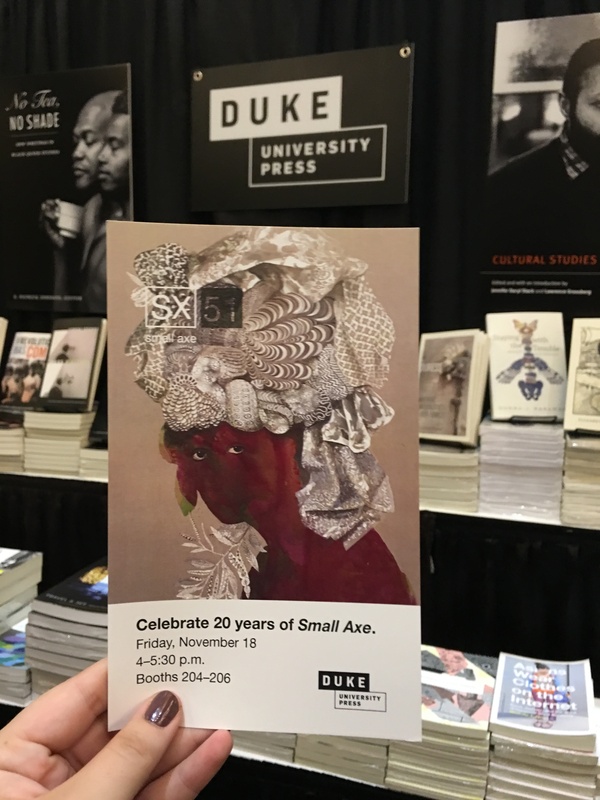 On Friday we had a reception celebrating Small Axe‘s fiftieth issue and twentieth anniversary. The wine and cheese were great, but the Small Axe swag was an even bigger hit! 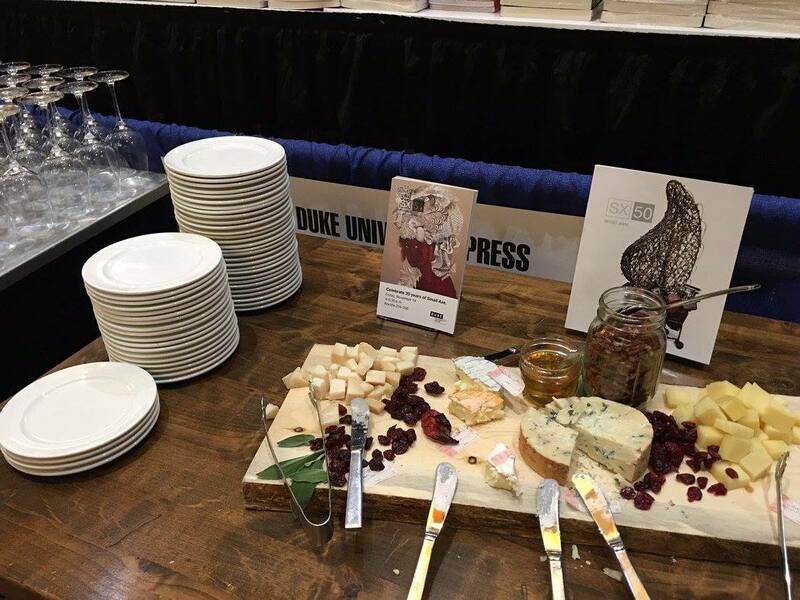 The reception was fun way to celebrate with editor David Scott, managing editor Vanessa Pérez-Rosario, editorial board members, and readers of the journal. Keep the celebration going by reading Small Axe #50. 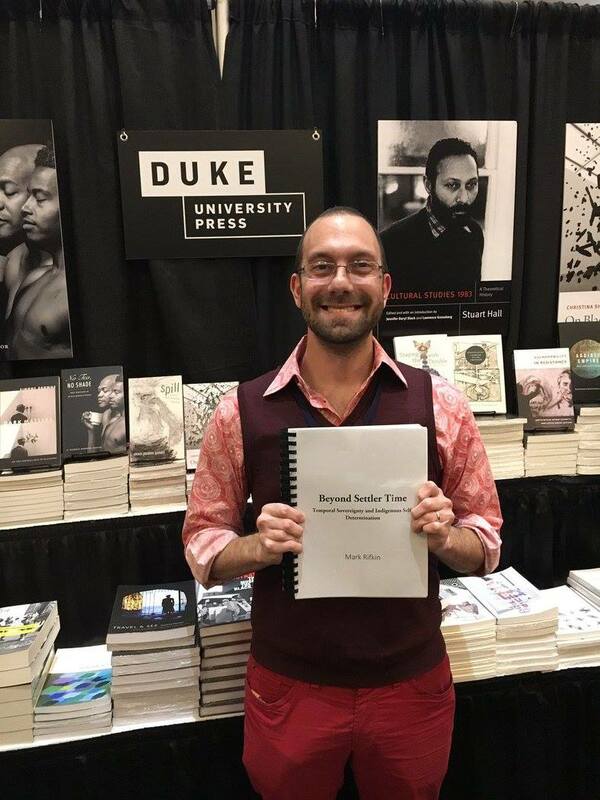 Friday night also included a reception for GLQ: A Journal of Lesbian and Gay Studies. 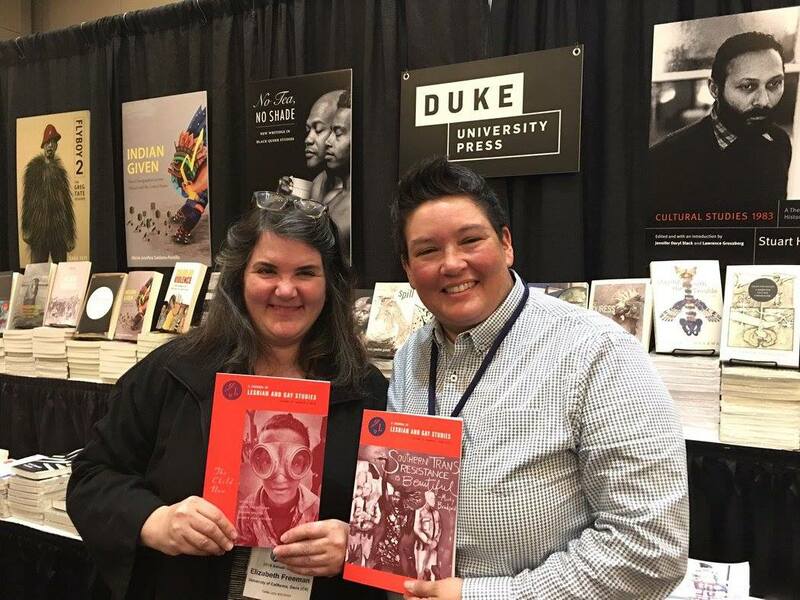 It was great to see so many scholars and contributors to the journal, as well as co-editors Beth Freeman and Marcia Ochoa, celebrating the journal. Several of our authors won awards for their books. 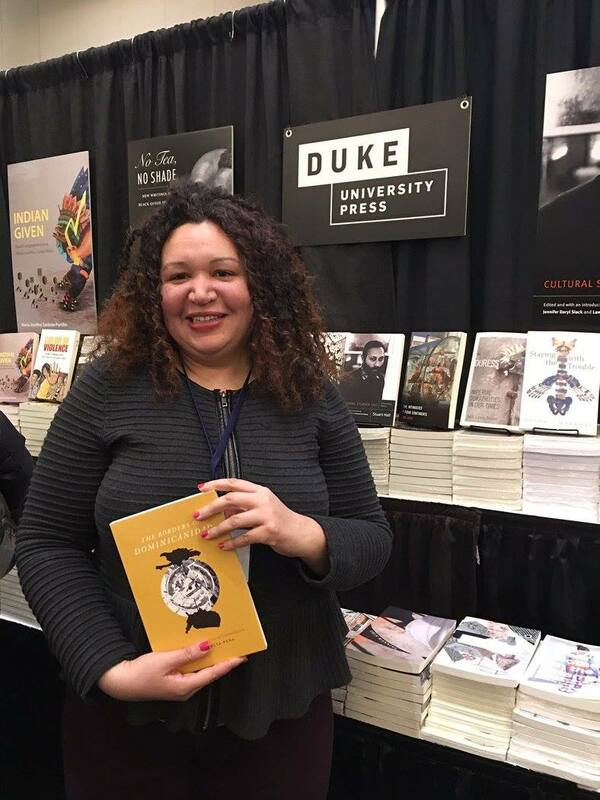 Simone Browne won the 2016 Lora Romero Prize for her book, Dark Matters, and Lisa Lowe’s Intimacies of Four Continents was a finalist for the 2016 John Hope Franklin Prize, both from ASA. 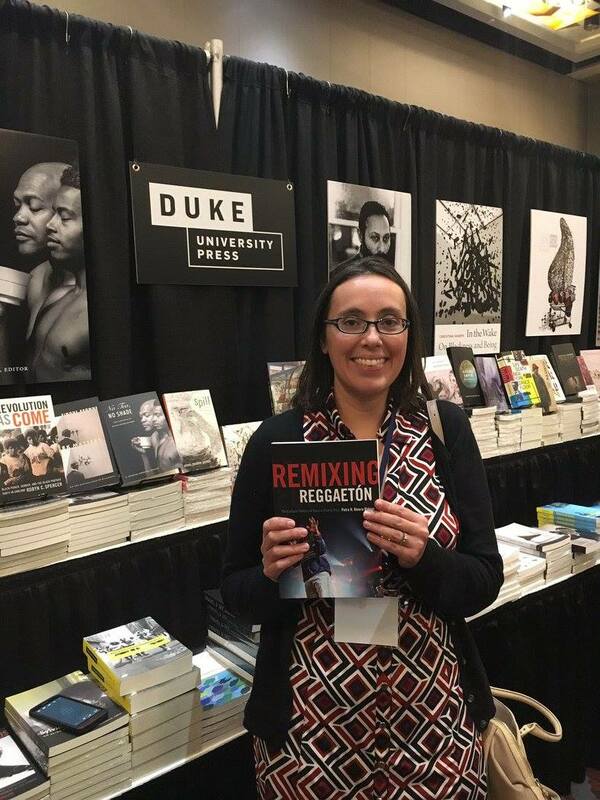 It was wonderful to see so many authors and editors stop by our booth. We loved seeing them with their books, and especially enjoyed E. Patrick Johnson and Kai Green’s reenactment of the No Tea, No Shade cover! Not able to make it out this year? Are there a few more books or journal issues you wish you would have grabbed? 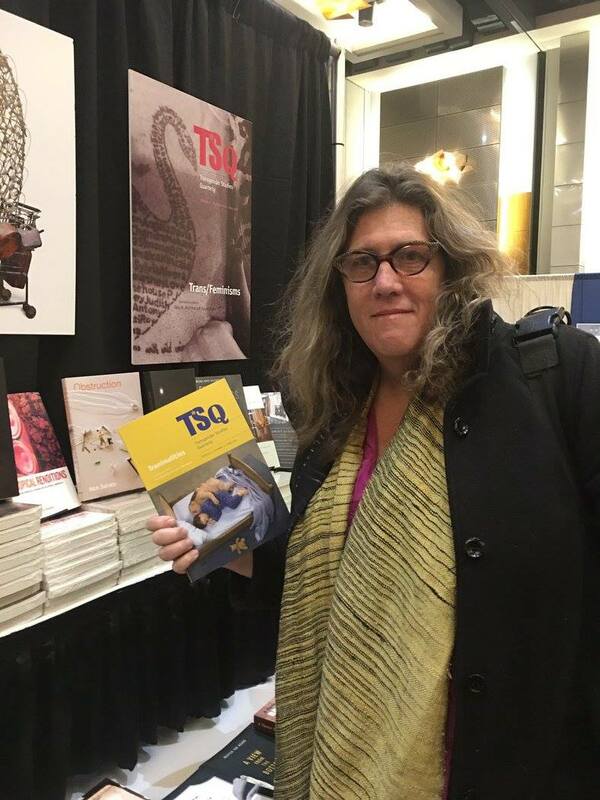 Don’t worry—you can use the coupon code ASA16 on our website through the end of the year to stock up on our great American studies titles for 30% off. Elizabeth Chin is Professor of Media Design Practices at Art Center College of Design and the author of Purchasing Power: Black Kids and American Consumer Culture. Her new book, My Life with Things, is a meditation on her relationship with consumer goods and a critical statement on the politics and method of anthropology in which she uses everyday items to intimately examine the ways consumption resonates with personal and social meaning. Where did the idea for this project come from and how did it evolve? The idea for the diary part initially began as a series of emails I sent out to a small group of friends. This was in the early 2000s before blogs were even much of a thing. If I had started the project a few years later, it might just have been a blog, and the book might never have happened. Along the way, though, I became fascinated with thinking about Karl Marx and his relationship to consumption. I wondered what his personal relationship to things might have been, and this spurred me into exploring all kinds of things from the economy in secondhand clothes to lace-making and the ins and outs of carbuncles. I was interested in Marx and his family as people, not icons or two-dimensional figures. It was when I was exploring the world of pawn in Marx’s time that I also realized pawn had been so important for Native people in the U.S., and that sent me on a whole new exploration. The evolution of the book overall was never straightforward, and certainly was not the result of some sort of well-laid plan. It was a series of explorations and journeys that then had do be cobbled together into the book. Was there a particular writer or scholar who inspired you to experiment with writing voice and the limits of ethnography? Actually I think the main inspiration for experimenting with the writing was my father. My dad, Frank Chin, is a writer – all he does is to write. He’s written plays, novels, nonfiction. He writes every single day. Even after a devastating stroke he’s written several books. I grew up around writing, and I’ve always written and taken it seriously as a craft. I like to joke that in my family you don’t really grow up until you publish your first book. So because of that, my orientation toward writing has always had what I suppose might be called a writerly orientation that is concerned with the writing itself as a form of practice and expression. In My Life with Things you are remarkably candid – almost shockingly so – about your personal life. Did you have any reservations about revealing that level of detail, or was it just a necessity of the project? Early on I decided this project had to be done wholeheartedly and without self-censoring. Part of this was because that is really how I think the best work gets done, you just have to dive in and not worry while you’re doing the work whether or not it can be declared “good” or “acceptable” or “embarrassing.” I knew I had no hope of producing good work if I was actually trying to do good work. My goal was to be as honest as possible in producing the material; I knew I could always worry afterward whether anybody else should ever see it. In the book itself, there were some people who had to be edited out after the fact, and some events that had to be re-framed, as well. I made the choice to do this because to include them would have exposed very private moments without their consent. In this way I still stuck to the ethical code we use in any kind of ethnographic work: I did not have their permission to reveal a particular event, so including them was not ethical. I never felt I had the right to publish things about people in my life, even true things, which would be hurtful to them. Some of the most painful material does deal with my mother and her struggles with mental illness. She read the manuscript before it was published, and if she had asked me to remove those entries I would have. How did you choose which of your things to write about? Are there any items that didn’t make the cut? With the entries, I just would sit down and write about whatever came to mind. This meant that there were plenty of entries that were boring, or just never really went anywhere. Sometimes I was sure that some item I was writing about was just an amazing journey, but later it would be excruciating to read myself obsessing of some minute consumer decision or other. At other times I could see in the writing that I was trying to hard to make a workable entry. This is partly why it was so important to write and write and write. I knew there was no guarantee that every entry was going to have a life. You close the book with the fictional account of Dr. ——, a hoarder/collector/consumer and anthropologist whose house—stuffed to the gills with things—explodes. Is there any overlap between yourself and Dr. ——? Writing that section was a ball. I loved making fun of myself and making fun of anthropology. Like so many academics I tend to take myself so very seriously and every single tiny slight or ego poke can keep me boiling for weeks. I absolutely think that I could become a hoarder. My husband thinks I already am. For my part, I see many surfaces in my house that remain undecorated and under-occupied. Part of me would love to continue that piece of writing, turn it into a whole crazy novel. What do you hope readers take away from this book, both in terms of your arguments and in the methodology and your writing voice? For me this book has been about embracing a kind of fearlessness, and in a way that is the thing I hope people respond to most, the notion that fearlessness is possible, even in the midst of terrible depression, even while struggle to keep going is endless. As an undergraduate I attended NYU in the drama program, and I’ve danced very seriously all my life. In the performing arts, you have to be fearless as well, even in the midst of profound insecurity. When you are on stage and performing, you never reach the heights if you are working at being good. You have to get out there with all your training behind you and then throw it away and trust that somehow you’ll fly. This is my attempt at flying in my writing. Most of me is utterly terrified, but there was this other part of me that had to make the attempt, so I’m trusting that part while also planning to crawl into a hole for a while. 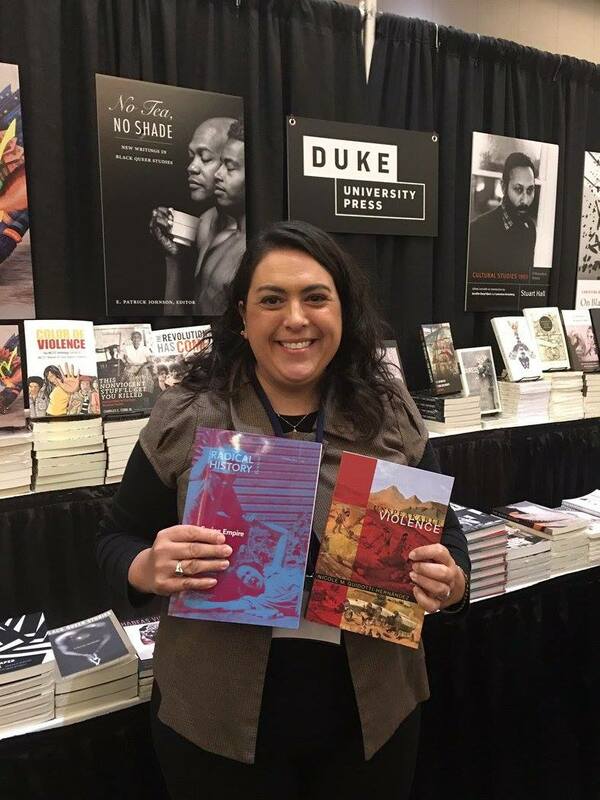 You can order My Life with Things from your favorite local or online bookstore (print and e-editions available) or order directly from Duke University Press. From now until June 20, this title and all other in-stock books and journal issues are 50% off using coupon code STOCKUP. We are excited to announce a Spring sale on our Asian American studies titles. Save 50% on all in-stock books and special journal issues in that subject until May 2nd. Simply use coupon code ASAM50 during checkout after selecting any of our Asian American studies books. Here are just a few of the great titles you can order with these great savings. 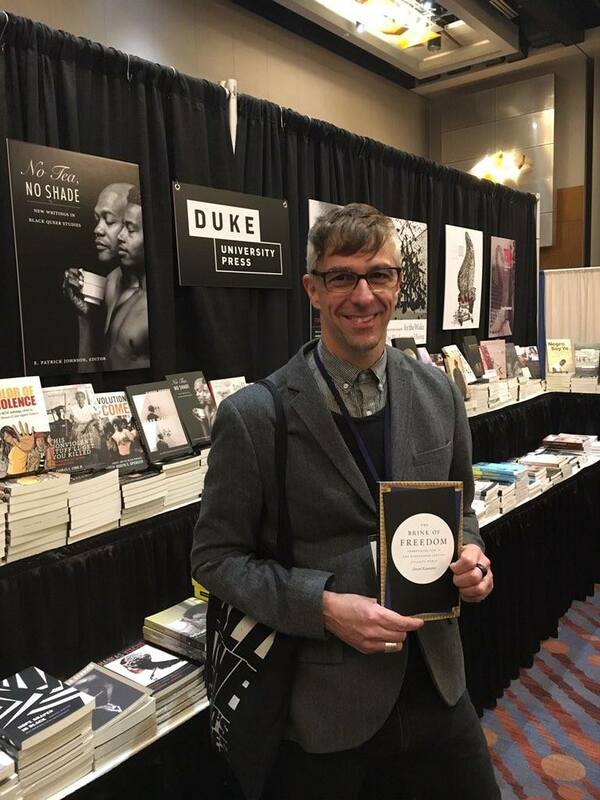 To save 50% visit www.dukeupress.edu and enter coupon code ASAM50 during checkout. Sale applies to all Asian American studies print books and journal issues (instock). Sale is not valid for journal subscriptions or society membership fees. All sales final; no returns. Discount applies to orders placed through our website. Sale valid from April 25 to May 2, 2016. It seemed like January zoomed right by us, and now February is already here! Which of course means it’s time to take a look at the new books to watch out for this month. The contributors to Metrics, edited by Vincanne Adams, use ethnographic evidence from around the globe to evaluate the accomplishments, limits, and the consequences of applying metrics to global health. Now the standard in measuring global health program success, metrics has far implications that extend beyond patients to the political and financial realms. 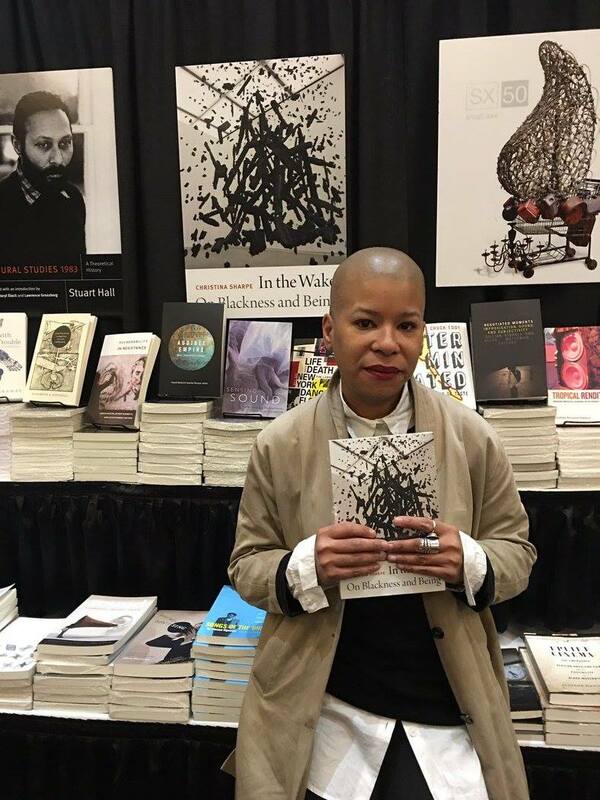 In The Brain’s Body Victoria Pitts-Taylor applies feminist and critical theory to recent developments in neuroscience and new materialist social thought to demonstrate how the brain interacts with and is impacted by power, social structures, and inequality. In Alien Capital Iyko Day retheorizes the history and logic of settler colonialism by examining its intersection with Asian racialization and capitalism, showing how the conflation of Asian immigrants to Canada and the United states with the abstract dimensions of capital became settler colonialism’s defining feature. Lesley Gill traces the rise and fall of the strong labor unions and working class of Barrancabermeja, Colombia in A Century of Violence in a Red City, showing how the incursion of neoliberalism, the drug trade, and counterinsurgency military campaigns into civil society that began in the 1980s has destabilized everyday life and decimated the city’s powerful social institutions. Published in China in 2010 and appearing here in English for the first time, Revolution and its Narratives, by Cai Xiang and edited by Rebecca E. Karl and Xueping Zhong, is a historical, literary, and critical account of the cultural production of the narratives of China’s socialist revolution that illuminates the complexity of socialist art, culture, and politics. In Moral Economies of Corruption Steven Pierce provides a cultural history of the last 150 years of corruption in Nigeria as a case study for considering corruption’s dynamic nature, finding it to be a culturally contingent set of political discourses and historically embedded practices. Placing the body at the center of critical improvisation studies, the contributors to Negotiated Moments, edited by Gillian Siddall and Ellen Waterman, explore the challenges of negotiating subjectivity through improvisation in various forms—from jazz, Japanese taiko drumming, and Iranian classical music to sound walking and political street theater. 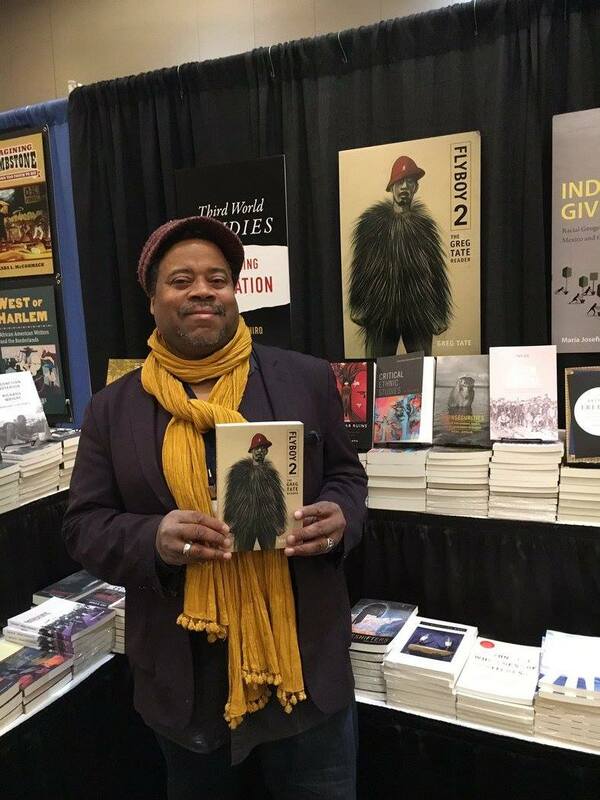 In Visionary Pragmatism, Romand Coles’s new mode of scholarship and political practice called “visionary pragmatism” blends theory with practice in the generation of new transformative responses to contemporary political and ecological crises. Indonesian Notebook, edited by Brian Russell Roberts and Keith Foulcher, contains myriad documents by Indonesian writers, intellectuals, and reporters that provide the largely absent Indonesian perspectives of the 1955 Bandung Conference and of Richard Wright’s activities there, adding new depths to the understandings of the conference. It also includes a newly discovered lecture by Wright. We were saddened to learn of the death this week of Nancy Abelmann, Associate Vice Chancellor for Research (Humanities, Arts and Related Fields) and the Harry E. Preble Professor of Anthropology, Asian American Studies, East Asian Languages and Cultures, and Gender & Women’s Studies at the University of Illinois at Urbana-Champaign, co-director of the Ethnography of the University Initiative, and author of The Intimate University: Korean American Students and the Problems of Segregation (2009) as well as several other books. 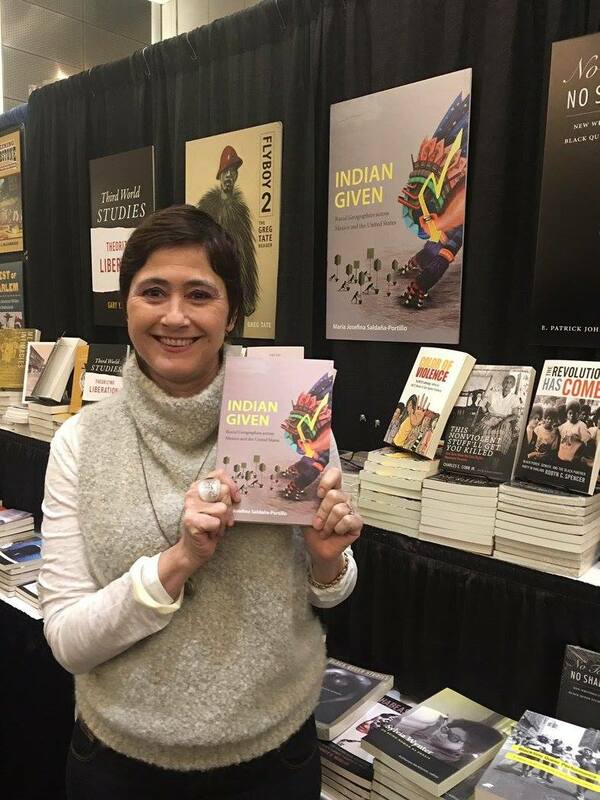 She wrote on family, class, gender, education, and migration with a focus on South Korea and Korean/Asian America. Our thoughts and heartfelt sympathy are with her family, friends, and colleagues.